When I decided to write my first E - Book I had no idea what to write about so I began to write. Pieces fell together one by one while I had recollection about my life. Words then came easy and it formed to a real life story. I for me liked it a lot, my own story with my own written words captured me so with all the long hours and all the effort behind this E - Book I now like to sale it. My name is Volker Bienentreu. I was born in Germany 1963. I began with Internet and computer when I was around 45 and all I know I taught myself but I had some classes in MS WORD and POWERPOINT and EXCEL. Looking for a way how to earn money Online because it became my passion being in front of the computer day in and day out, so I thought why not turn it into something profitable. I started writing for some articles sites out there and so learned about my passion of writing. Just not long ago I decided to write my own E - Book for the money wasn't really that great I made writing for others. I improved quickly using computer began to learn about creating content I liked and putting things together using programs and other tools. Learning this and that I spend many days and nights in front of the computer even now if I don't stop myself going out for a break it probably never happens. Selling however is not a easy business and every starter has to put all the right pieces together in order to sell correctly. Day in and day out I had to make improvements to the story changing this or that and hours and days turned into months quickly. My life and what I have experienced including all types of person character I came across, formed me and taught me a lesson as to what I am today. Neither one of it could have been missed for now, a mature person stands in front of you "ME". I tried to put it all together in a entertaining way and a easy to read kind of novel so to speak. The E - Book cost $14.99 and has seven chapters. My E - Book is available on Payhip store as well as can be purchased via direct Paypal or with PayLoadz. Using any of these store services will make it more easy for you to get it and a download link will be provided right after purchase so you can use it in your phone or tablet or whatever you are using. Don't be shy. her, she never looked at me and spoke to me ever". Content of the E - Book seven chapters. If you want to read on and know more well purchase it details are to the left or down below. This picture was taken in Lianga some years ago at this time I was not into writing and we had no internet yet. Time however has changet a lot for us. This is me Volker Bienentreu the one who wrote the E - Book and I hope you will like it. 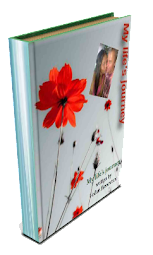 Website for "My life's journey"
We are writing a new E - Book called "Set me free" right at this moment and we will be updating you on this. This E - Book is NOT available yet but will be soon and when it comes out you can purchase it via PayLoadz or Payhip as well as Paypal directly. This E - Book will have ten chapters and by then end of this E - Book tips sites will be handed out so you can easy apply what was said. This Book is about the lie we have been living in for so long because we have have so often adopted a mentality, that we are unable to do this or that in our life. The truth however is, that all things are possible no matter what situation we are facing. Many struggle with this therefore I felt compelled to write this upcoming E - Book. There are no links to purchase it out yet but will be made available when it is ready to be released. The cost for this downloadable E - Book will be very low and it will also be entertaining for you to order it. Finally we finished another master piece called "For ways to success" just today. It is ready to be downloaded at Payhip and SeoClerk at the moment. When you click on that E - Book picture it will lead you right to the download site. What inspired me to write this book you might ask? Well after seeing that most people where I live have more questions then answers to life I decided to share some practice and tips on how to make dreams come true. This E - Book was indeed inspired seeing all the need around me and the desire wanting to help. This E - Book is kept short goes right to the point with specific outlined guidance on how exactly to go about it. The price of that E - Book is much cheaper compare to the other simply because it is much shorter. It only has about five pages. The points I was trying to lay out was number 1. Think it and then 2. Imagine it 3. Say it and finally number 4. Do it. Please feel free to have a look as you might find it interesting if you are looking for a better life with a positive outcome, the outcome you have been looking for in all your life. Writing is my passion so with all this wanting reaching out to others with a helping hand, it came pretty easy making this E - Book. There are times when it just flows out of you which I then put it right into writing. I hope this E - Book can be of help to you and I should point out that the exercises detailed in my E - Book are practiced by myself on a daily basis. So I know what I am talking about. I found that it helps a lot bringing the peace on the insight especially when the going gets tough. Taking time off focusing on your dreams not only brings peace but also a assurance that it will all be well but as it goes with anything, we have to work towards it daily. Only with daily practice we can accomplish peace of mind and don't get me wrong obstacles will come against you. The more harder it gets the more it shows and proves that there is something real to it. If not there would be no hard feedback, nothing would ever come against you but because it does, proves that before things get better, usually all hell brakes lose but after the sun comes out again and you will have your desired outcome.